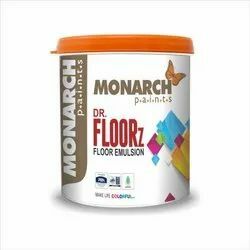 Manufacturer of a wide range of products which include dr. floorz floor emulsion paint. Dr Floorz Flooring Emulsion provides a very rich and lasting coat on floors, pavers and on Tiles. 1. Advanced Silicone Technology gives excellent weathering.